I decided it was time to actually get other mommy perspectives on the subject of ‘it takes a village’. So, I gave a shout out to the Facebook world with 4 questions, two for and two against parenting advice to see if the “village” was more helpful or harmful. Once you become a mom, something that is needed is thick skin, so that when you do end up receiving unwarranted advice, you can take it with a grain of salt. My friend Jamey W. said it best “I have heard/felt things that while harsh at the time, as I reflected (and minimized my pride) realized they were probably right or at least something there that should be considered.” This is a mom with a teenager and a college student; her answer is why I need to have mentors in my village to explain, “Pride causes us to miss a lot of truth.” Yes, getting offended is a cultural phenomenon, but instead of pouting, I can take what has been said and use it to grow and become a better, more developed person. I learned pride gets in the way of even allowing myself to be surrounded by a village. One obvious way I realized I needed growth in was learning that my son could benefit from being around others. At first, I was very hesitant to allow other people be around my son, I mean, I made him… I can be selfish, right? 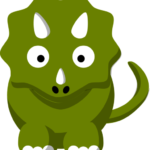 But once I got past that, I found how beneficial it was to have others interact with my child. They would play with him in ways that never would have crossed my mind, and truly showed me new ways to love my son. “It is incredibly valuable to be in community with other people who pour into and love your child– they speak into their lives in a multitude of ways, and it’s powerful and humbling and so much better than doing it on your own. Other people can speak into their gifts, challenges, and behavior in a way that you can’t, and they see the things you have blind spots to.” –Annie M. This is why it is so important to have peers be in my village. Your peers can help you to be more creative with teaching and during play time as Jenna S. saw this as “a refreshing reminder to not let your child play her way right through her days without me, I just don’t want to miss It.” This has also opened my eyes to the fact that controlling every aspect of my life is just not attainable; I need help and support. Being a very controlling person, I really wanted to do everything on my own and then… well, exhaustion set in. The other night I broke down (my son has started waking up at 2:00am hyper and not going back to sleep until 3:30am), my husband offered to pray with me as I was rocking our son to sleep and I said, “no, I just want to get Ru to sleep.” It took me about 5 minutes to realize what I needed was my husband to pray over me and once I gave up that control, it was like a gospel choir came rising up singing “Hallelujah”! A wise friend stated, “Praying that the Lord would guide you in each situation and lead you on how to love, affirm, teach, correct, and discipline in a way that is honoring to him. Praying isn’t hard to do, but always feeling prepared and equipped can be hard when it comes to parenting.” This makes me realize that protectors are needed in my village. God allows us to lean on him and others just as a friend who is a fellow new mom has grown to “learn now more than ever to trust in God’s plan and have faith that no matter what, He knows what is best and He is leading our lives.” After recognizing all that was needed for my village to be a great support system, there was something gnawing at the back of mind, something that was missing. Out of all the moms I had asked these questions to, one specifically made me realize something most moms are afraid to say “I am one amazing woman and mom.” –Jen H. She is a single mom who has had to learn how to be strong for her and her kids. “But our God is good. And he put me through some tough times that led me to now. And who am I now? A fully functional adult who can clean and not lose her cool; I make doctors appointments and make sure the kids get their fruits and veggies.” This is when I realized confidence is needed in myself for the village. I am my toughest critique when it comes to my skills as a mother but why can’t I admit that some days I am doing a great job or some things I do rock at as a mother. I feel confidence could be such a great tool for us to spur on to be even better, to never stop trying to achieve the goal of loving our children fiercely. “You’re going to make mistakes, they grow up despite us, and they grow up fast so enjoy every moment.” –Jennie H.
“It is the ride of your life! Have fun! Find what works for you and do that.” –SueEllen H.
“Sleep when the baby sleeps” –Candace T., Chrissy S.
“Never let the kids leave the house without saying you love them. And always say encouraging words to your children.” –Ann M.
“Each difficult stage is temporary and you will miss It.” –Calli K.
“Do what you feel is best for you and your child and not to worry about what others think.” –Amanda B. “Saying things like ‘they are going to see it eventually.’ It doesn’t mean they need to see it now!” –Candace T.
“My sister-in-law never had kids and she always told me how to raise them, she would punish them in front of me when they would do something that was no big deal to me.” –Ann M.
“I felt pressured by others to use formula, feed her puréed and solid food, to sleep train when I wasn’t quite ready yet.” –Calli K.
“I have had a lot of people tell me that my daughter is big for her age and maybe I should watch what I feed her.” –Amanda B. 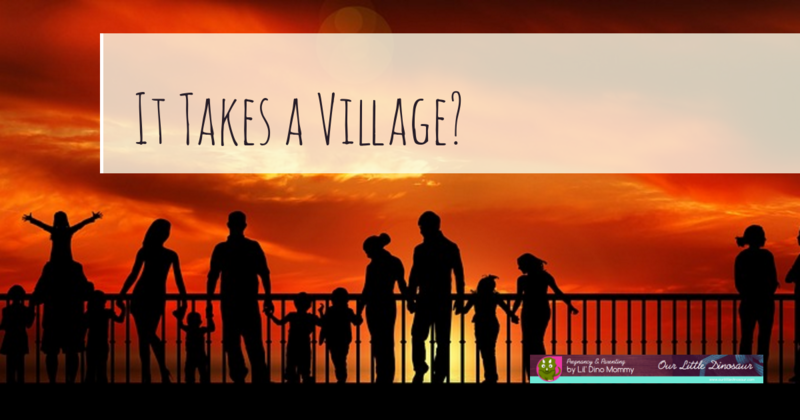 “People trying to fix problems I’ve been working on forever like my child’s diet or showing distaste for the freedoms I allow.” –Jenna S.
So, is ‘it takes a village’ just a phrase or is it truth? The truth is, it takes the right village… so choose wisely. Tell us about the advice you have received, including the good, the bad, and the ugly! What advice would you want to give new or expecting parents?